Coalhouse Pizza is at it again. They are hosting another five course beer tasting dinner. 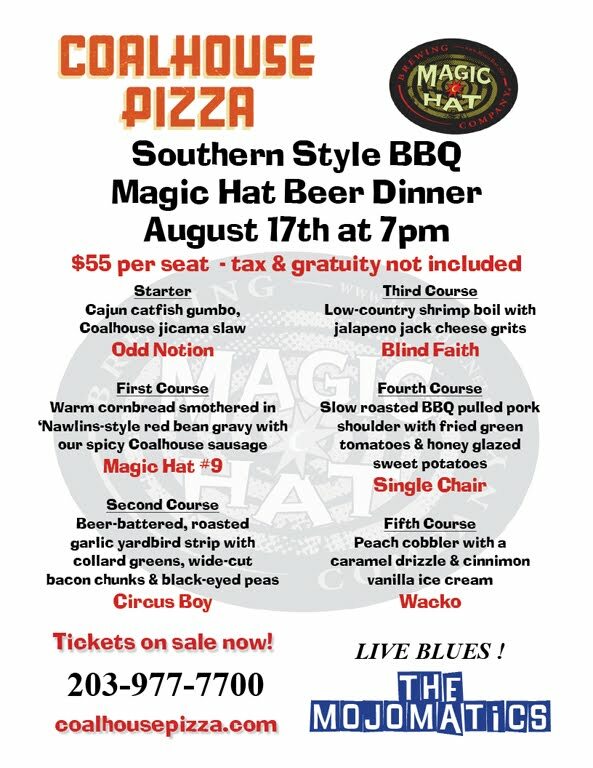 This one features southern style BBQ and beer from Magic Hat. Join them on Tuesday, August 17th at 7pm. There will be live music from a blues band called The Mojomatics. 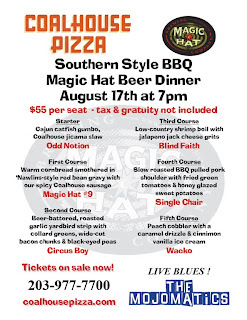 Call for tickets 203-977-7700 or email them at info@coalhousepizza.com. They will run you $55/person plus tax and tip. Not a bad price for a little bit o' boozy summertime magic.